Much of the development of the New Pinetum was carried out in the 1960’s to extend our representation of pine species from around the world. 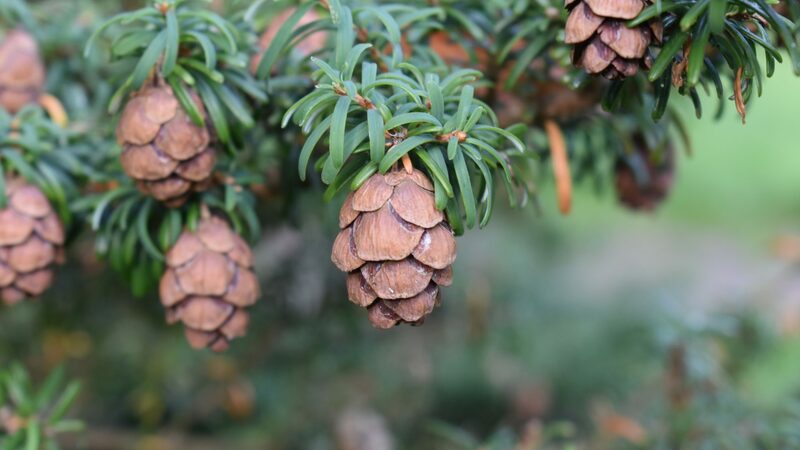 Established to test the performance and longevity of various coniferous species, it serves to complement the long-established Old Pinetum. A stroll along the mown grass paths through the long grass of the New Pinetum reveals the diversity of scale and form of the pines grown in this area. The species which have grown best here all come from areas of the world with similar soils and climate to ours. The endangered Spanish fir, Abies pinsapo, enjoys our shallow, well drained soils and low rainfall, and appears to thrive with us. 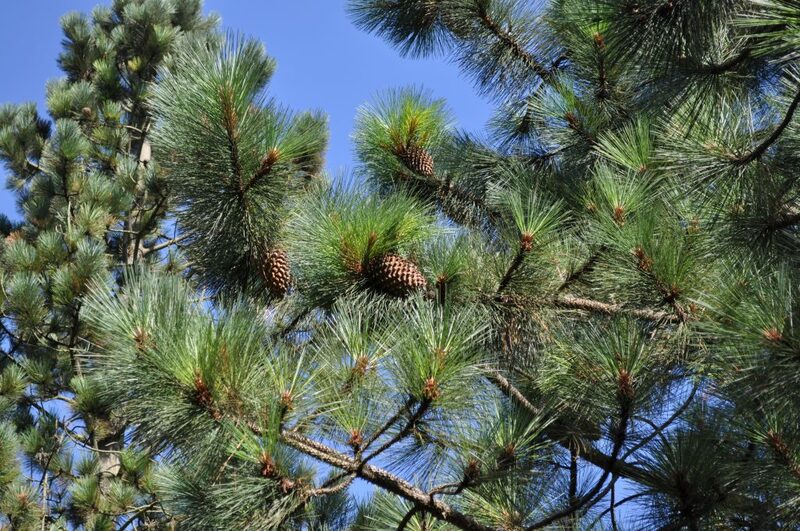 Similarly many North American species are growing well, including the widow maker pine, Pinus coulteri, whose cones are amongst the largest and heaviest of the pine family, and also the totem pole-like Pinus jeffreyi. A fine specimen of the Douglas fir, Pseudotsuga menziesii, from North America can also be found here. Other closely related families are also represented here in the New Pinetum. 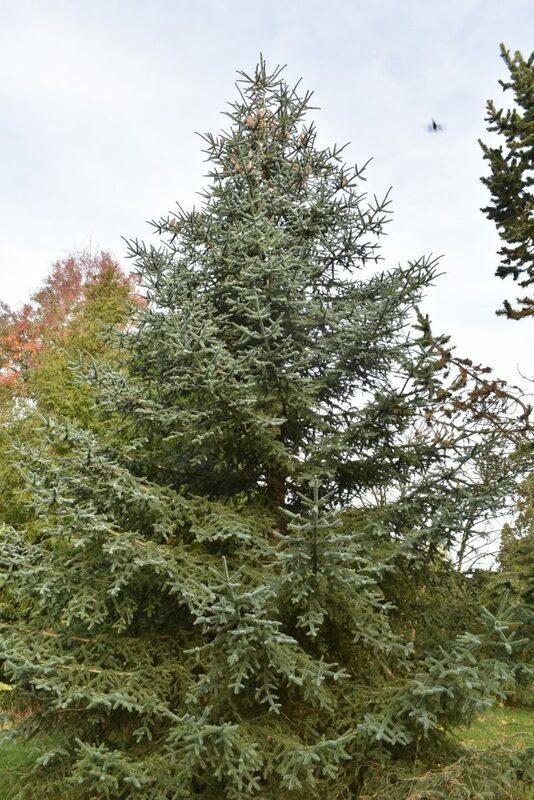 Several members of the cupressus family (Cupressaceae) are also grown here, including the Chinese Cunninghamia lanceolata, and the seldom grown Torreya nucifera from Japan. 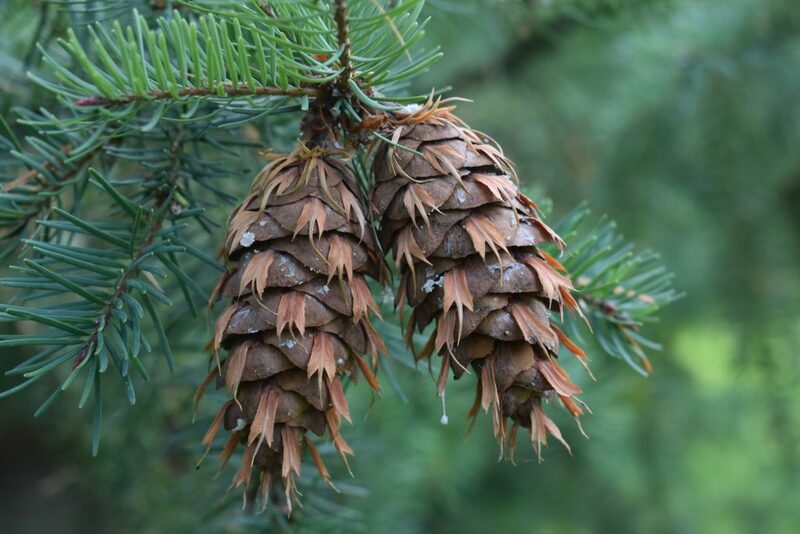 For the studious visitor the New Pinetum offers ample opportunity to compare the cones, needles, and bark of the trees grown here, while the Rising Path provides a welcome elevated view of both the trees here, and also of the Systematic Beds.